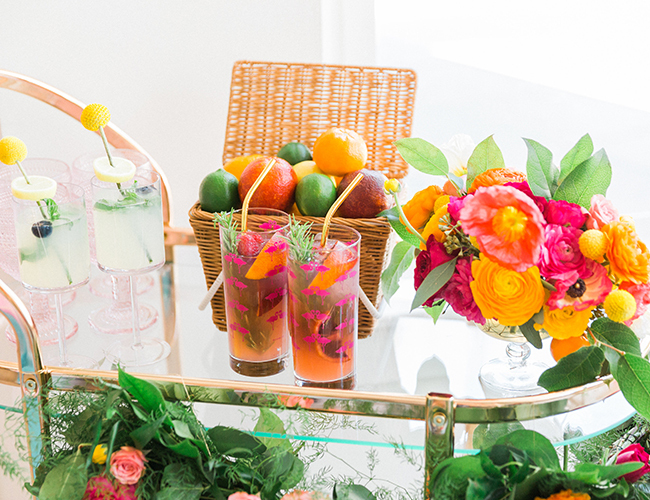 What’s bright, fun, and has your next cocktail party written all over it? 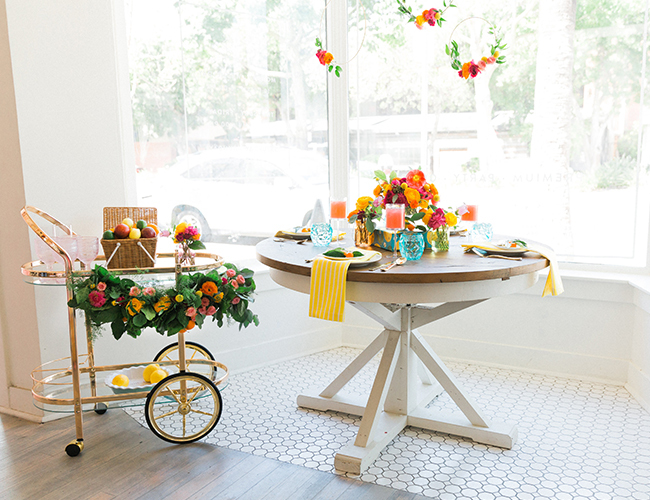 This kid-friendly summer citrus party designed by Skybox Event Productions! 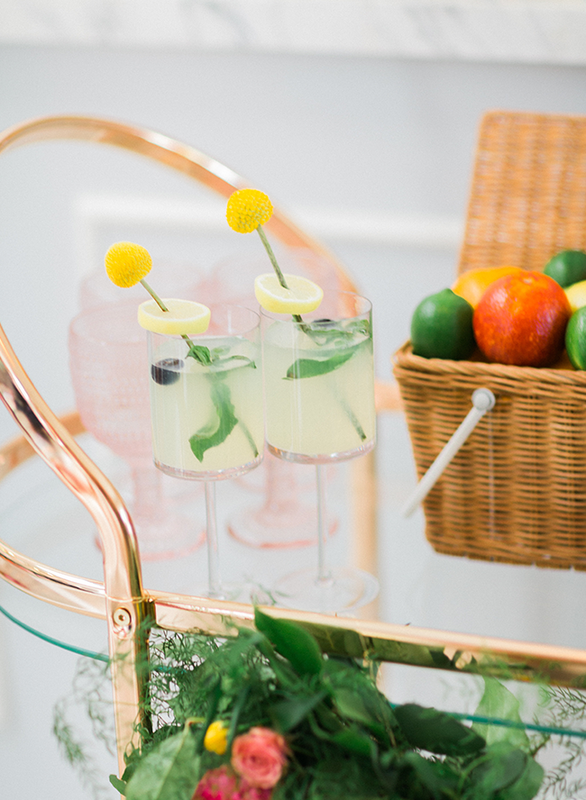 Did we just say cocktail party & kid friendly in the same line? 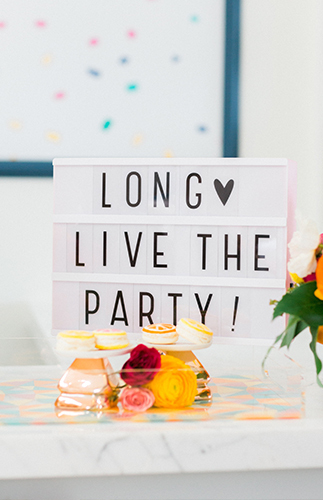 Well, yes, because this soiree has something for everyone. 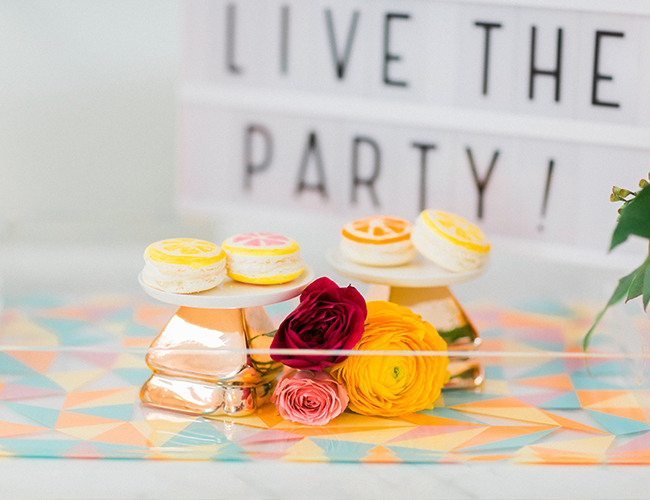 From vibrant & refreshing summer cocktails to homemade popsicles and macarons that look like citrus fruits. 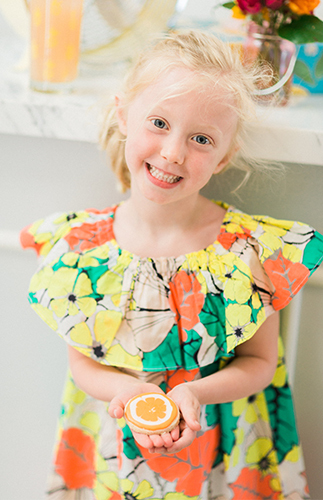 Don’t get us wrong, we adults love the sweets too – just wait until you see the dripping blood orange cake! So, what are you waiting for? 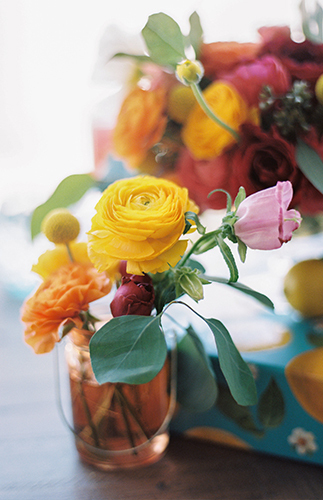 Get to pinning this inspiration, perfect for a summer kick off! Ah, sweet summer. 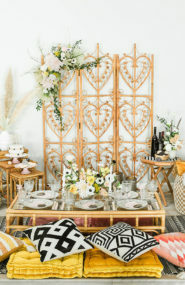 The season that welcomes in warmer weather, an air of casualness and the perfect excuse to host a party just because… summer! At Skybox Event Productions, we embrace the upcoming season in all of its blazing glory (literally and figuratively). 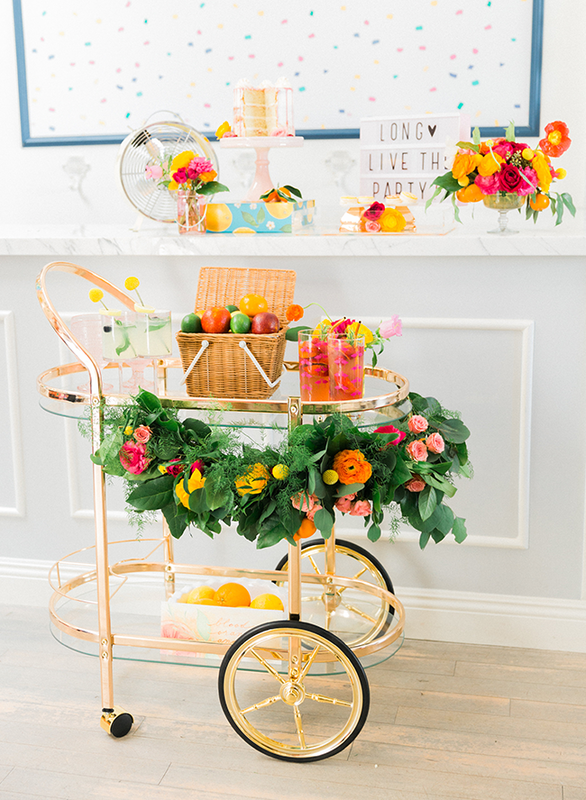 We aimed to create a party to reflect our love for all things fresh and vibrant– bright and juicy citrus fruits really led the inspiration for this shoot and influenced most of our design details. 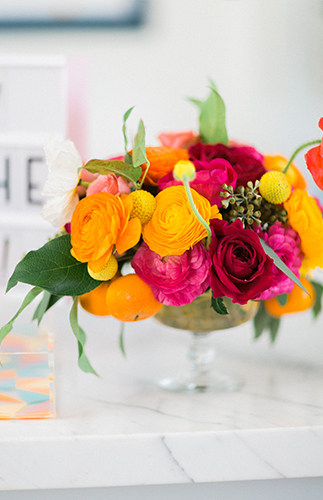 Orange you excited to feast your eyes on this color combination?! 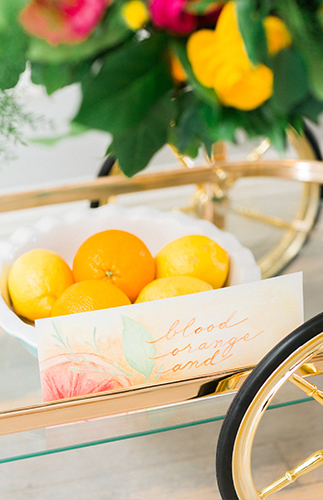 We were especially obsessed with blood oranges that we incorporated wherever we could in the shoot. Best of all? 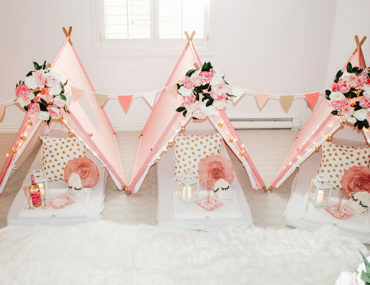 This summer gathering is kid-friendly! 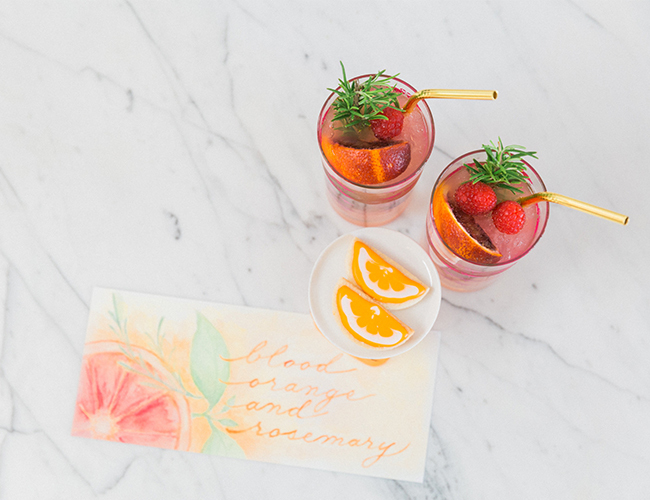 Entertain your adult guests with refreshingly creative drinks like the cool, blood orange and rosemary cocktail, and keep the kids happy with homemade popsicles (recipes below). But hey, we won’t judge if one of those popsicles “happens” to make its way into your cocktail either. 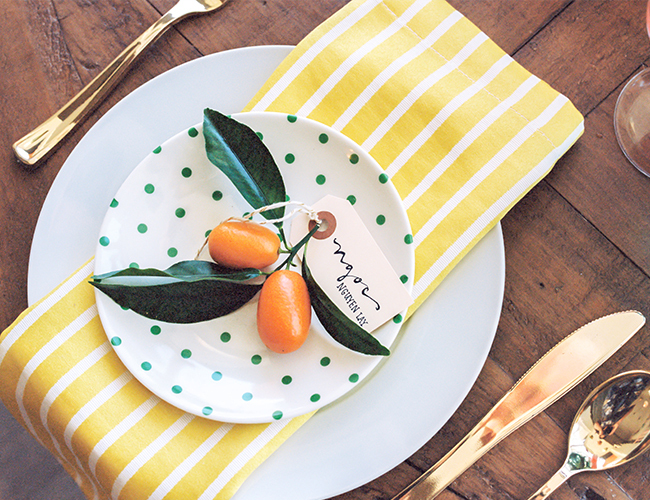 Hand drawn place cards paired with a kumquat bunch keep things casual and organic. 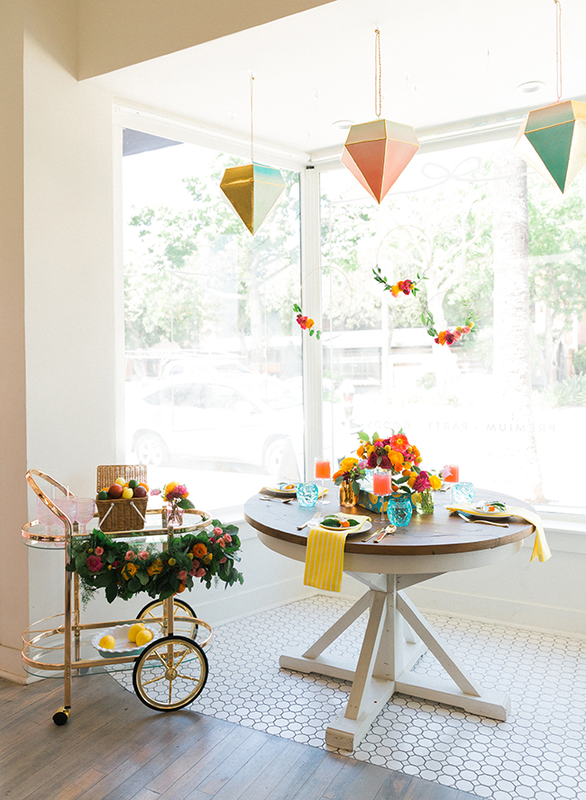 Wreaths and floral arrangements provided by Sibyl Sophia added the perfect touch of fun and whimsy. 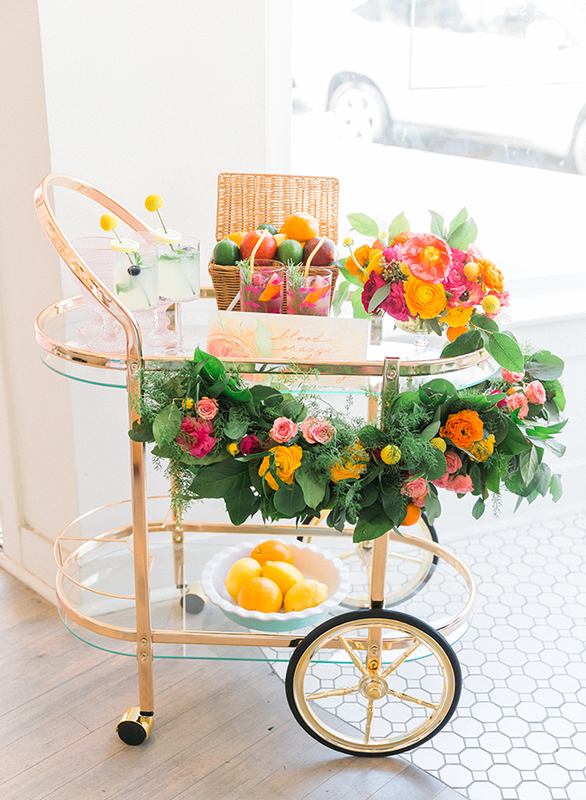 We’re loving the fresh pops of color it adds to the bar cart! 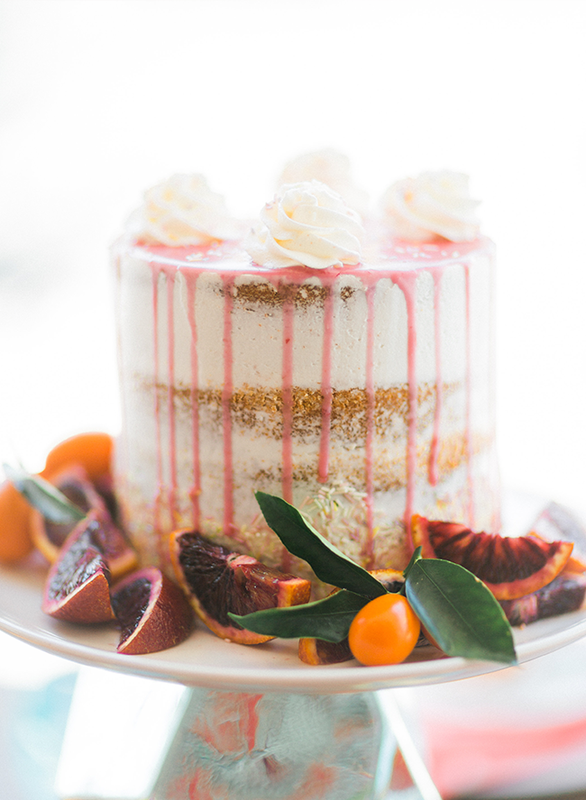 Lizzie’s Bakery shared with us her colorful, blood orange drip cake with a splash of confetti sprinkles for a playful twist. 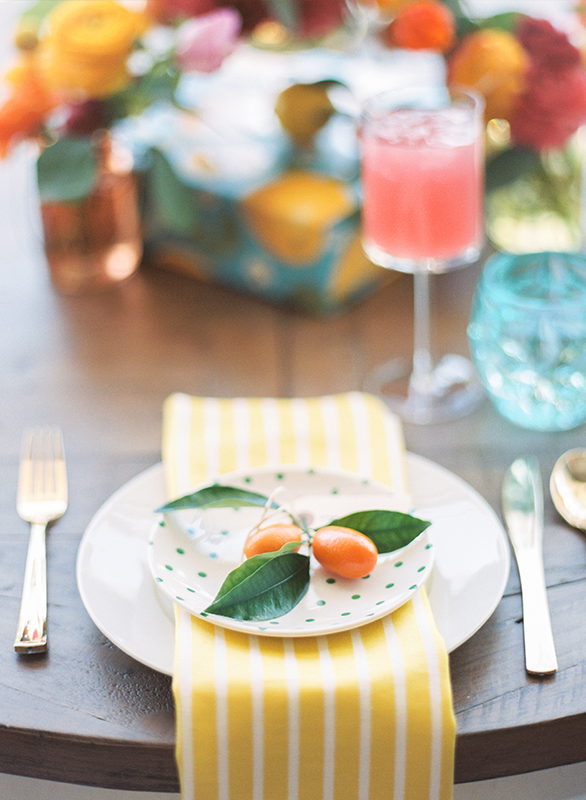 How To: Combine gin, juice, and simple syrup. Stir well. Add ice and top with basil for garnish. How To: Combine vodka, juice and simple syrup. Fill cocktail shaker with ice. Add ingredients and shake well. Strain in chilled with Rosemary garnish. 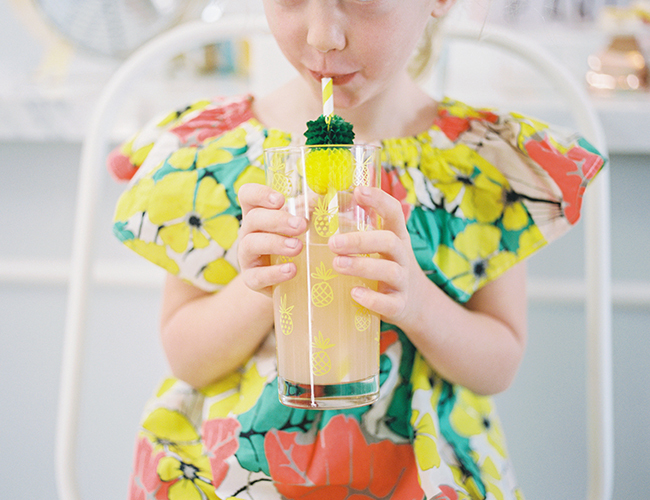 How To: Salt or sugar rim, if desired. Combine a little lime or grapefruit zest with salt or sugar for a rimmer. Wet the glass rim and dip in salt or sugar and set aside while making the cocktail. Combine all ingredients except club soda in cocktail shaker filled with ice. Shake well. Strain into a glass filled with some ice. Top with club soda. 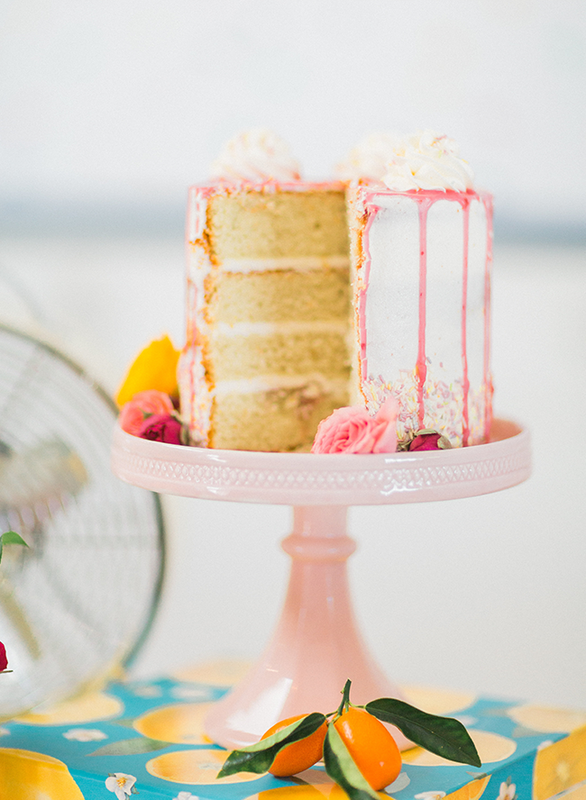 Beat the heat with some cool, sweet treats! Did we mention these are actually healthy?! 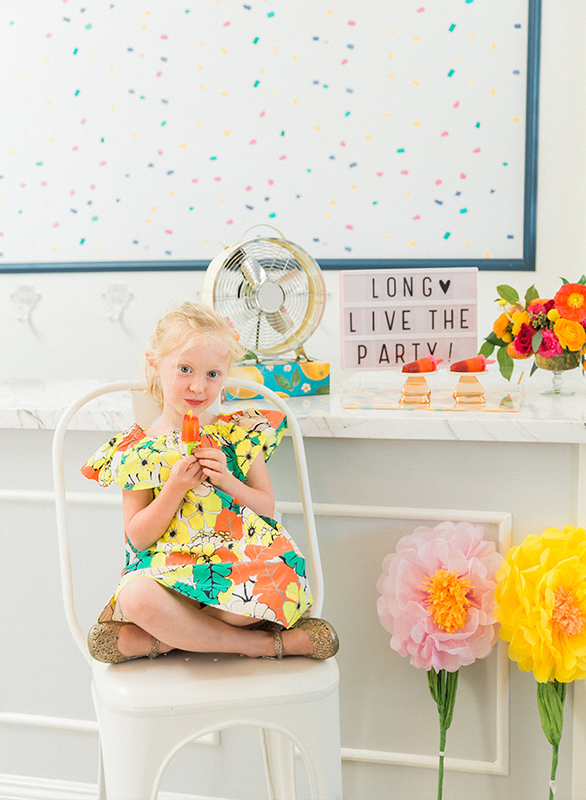 These delicious fruit popsicles are made from real fruit puree and sweetened with a touch of agave nectar. 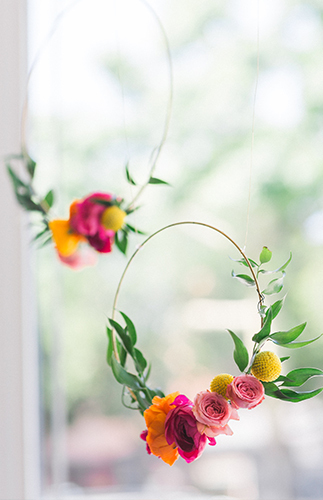 A breeze to make and prep before the party. See below for recipe. 1. Puree strawberries and raspberries until everything is completely blended. 2. Mix add lemon juice and agave/honey and divide among popsicle molds. 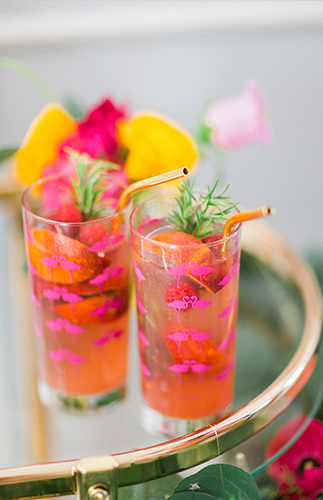 Add popsicle sticks and freeze. How fun! 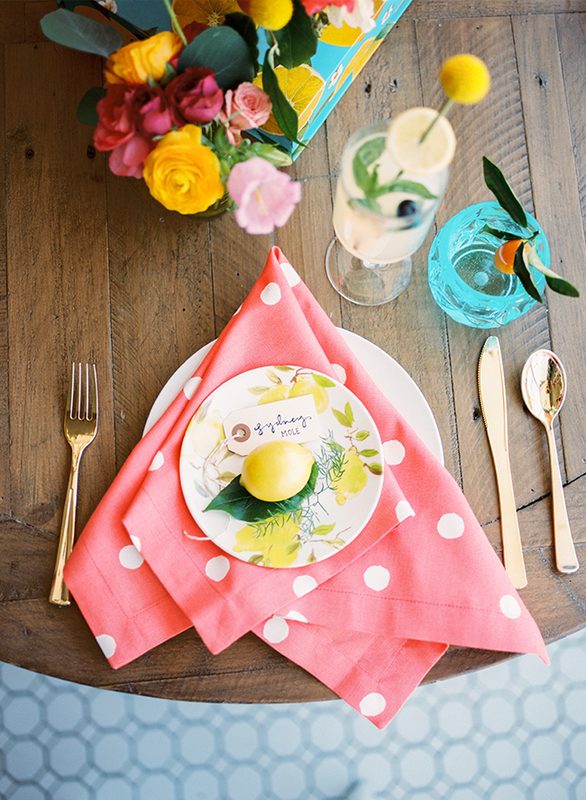 I love the color scheme! 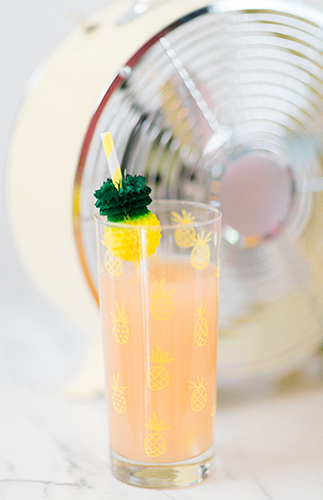 Perfect for those summer vibes! 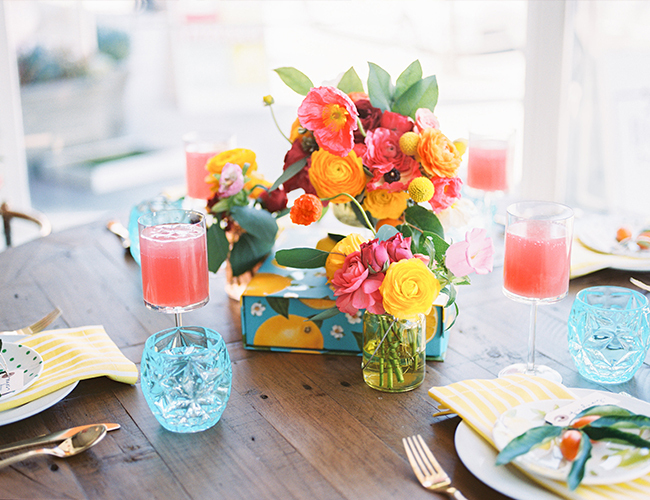 Citrus colors are soo perfect for summer!